With the digital revolution opening up tremendous opportunities in many fields, there is a growing need for skilled professionals who can develop data-intensive systems and extract information and knowledge from them. 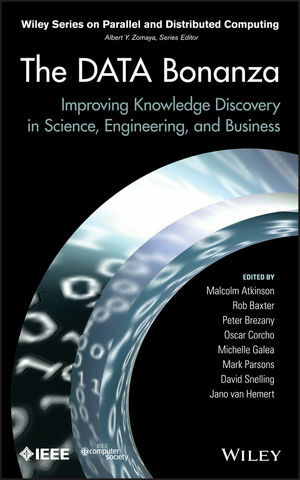 This book frames for the first time a new systematic approach for tackling the challenges of data-intensive computing, providing decision makers and technical experts alike with practical tools for dealing with our exploding data collections. The Data Bonanza is a must-have guide for information strategists, data analysts, and engineers in business, research, and government, and for anyone wishing to be on the cutting edge of data mining, machine learning, databases, distributed systems, or large-scale computing. MALCOLM ATKINSON, PhD, is Professor of e-Science in the School of Informatics at the University of Edinburgh in Scotland. He is also Data-Intensive Research Group leader, Director of the e-Science Institute, IT architect for the ADMIRE and VERCE EU projects and UK e-Science Envoy. Professor Atkinson has been leading research projects for several decades and served on many advisory bodies.